One of my favorite church songs has a refrain that says, “Count your blessings. Name them one by one. Then you will be surprised what God has done.” It may sound a bit odd after the challenges we have faced since Hurricane Michael, but I feel truly blessed. Riverview is running smoothly, and our guests have all been very complimentary of what we were able to accomplish with such a short time frame. 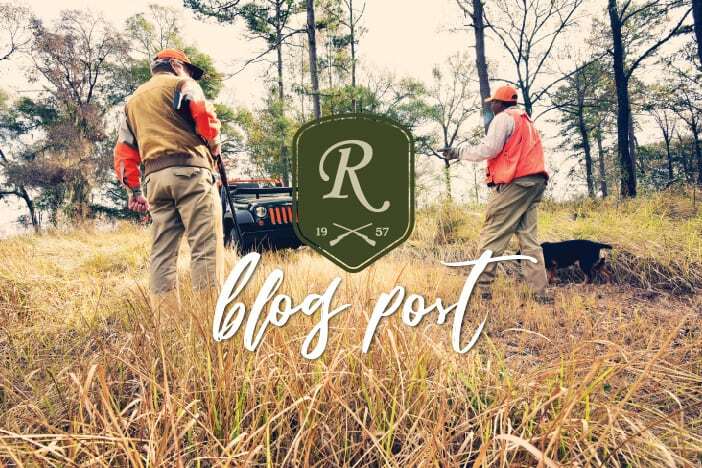 The hunting has been excellent, and we are now beginning our fourth week of hunting season after having to cancel the first two weeks due to no power or water plus a massive cleanup operation. I would expect that the most thankful person at Thanksgiving is Martha Cox since she doesn’t have to cook Thanksgiving dinner as the entire family has always shared Thanksgiving dinner with our guests on Thursday night. We have a full house for Thanksgiving this year for the first time in a number of years. I will need to warn the guests to get ahead of the Cox clan in the buffet line unless they want to pick at bones and scraps. I am just so grateful that I have my Martha to share another Thanksgiving with her and the family as she continues to do GREAT in her battle with cancer. I know that I’ve said it before, but I just could not be any prouder of the Riverview team that made this hunting season a reality. I believe that a group becomes a team when each member of the group has enough confidence in his abilities to praise the work of the other members, and I certainly observed that with our gang. As Thomas Edison once said, “Our greatest weakness lies in giving up. The most certain way to succeed is to try just one more time.” We had to try more than one more time, but we did discover that there is more than one way to skin the cat, and accomplish the tasks. It’s very difficult to keep calm in your heart when faced with adversity, but it is absolutely necessary. I would like to close this short blog with a quote from David Lockett that really expressed my thoughts better than I could have ever done. Mr. Lockett said, “Through all of the heartaches and tears, through gloomy days and fruitless years, I do give thanks for now I know these were the things that helped me grow.” I truly believe that adversity is a better teacher than success. Everyone here joins me in wishing you and your families a joyous and Happy Thanksgiving this week!